What started out as a birthday trip to celebrate her 22nd birthday in Japan has turned into a one-week tour in Tokyo, Kyoto, and Osaka with Hujan’s Noh Salleh. That’s what happened to singer-songwriter Sasha Ningkan. In just a few days, she will be flying to Japan to perform with Sarawakian artiste Mohammad Noh Salleh, the frontman of the band Hujan, on the ‘Borneo Kara No Tabibito – Japan Tour’ from 28 October until 4 November. Born and raised in Kuching, Sasha has been actively singing since she was 15 years old and since then started to meet different musicians, singers, poets, and even writers. She described her music as a blend of RnB and Jazz, and at times a mixture of psychedelic electronic sounds, although she mentioned she doesn’t have a specific genre. 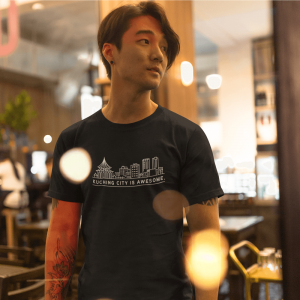 ilovekch.com caught up with the 22-year-old Kuchingite to talk about her upcoming birthday trip/tour. You’re touring with Noh Salleh in Japan in a few days! How are you feeling? I KNOW RIGHT?! I can’t believe it and still can’t digest the fact that I am leaving to Japan in a few days for a tour with Noh Salleh and also a few close friends. Oh my goodness. I don’t know how to describe it. It’s a mixture of a lot of emotions at once. I am excited, scared, and nervous. I really don’t know how I should feel. 3. How did the tour come about? Noh Salleh was telling us that he would go to Japan in October. So he asked if any one of us would like to join with him. Since most of us have always wanted to go to Japan, we then checked the plane ticket and without any doubt, we bought the ticket. Our plan at first was just a holiday with friends and to celebrate my birthday in Japan. Then a friend, Matt, asked if we would like to perform in a few places in Japan since we are there for 12 days. And why not right? Matt then contacted his friend, Junichi San, who is Japanese but knows how to speak Malay. Noh have connections in Japan and asked for help as well. He then helped us to find shows, and he managed to get four shows for us in Japan; two places in Tokyo, one in Kyoto and another one in Osaka. 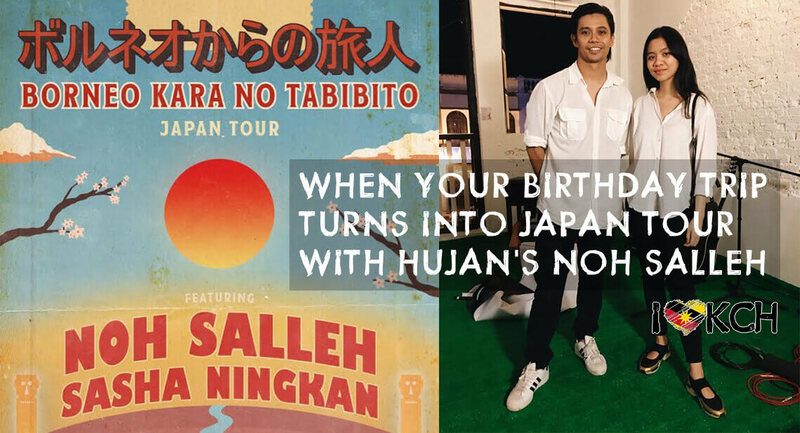 And that is how ‘Borneo Kara No Tabibito’ — Noh Salleh and Sasha Ningkan Japan Tour happened. We did not expect this because it was far from our main agenda for Japan. And then we were surprised that there are sponsors and supporters from Sticky Box and My Chef. We were quite touched by the support from Malaysians and also from the Japanese. Some bought tickets to Japan to watch our performance and we are blessed to know there are people who are willing to do so. 4. What songs will you be performing in Japan? I will be singing my own originals and also covers. Pergi Jepun okay mun maok tauk. Not going to list it down here. LOL! 5. What’s your expectation of the tour and how do you think the Japanese will respond to your music? I don’t really want to expect much but as long as we are having fun, then it is good enough for me. Also thinking that these are new audiences, it scares me more because first impressions are important. I will do my very best and hope that they will like or love my music. Plus, honestly, I am much pressured knowing that I am doing this with Noh Salleh. So, I hope God will have mercy on me. Hahahaha. All in all, I am very excited!